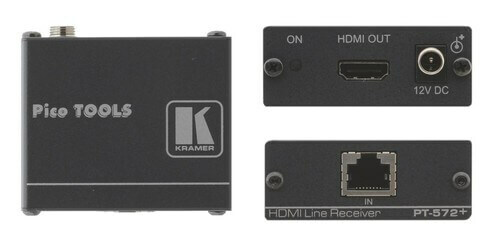 The Kramer PT-572+ is a DGKat twisted pair receiver for HDMI signals. 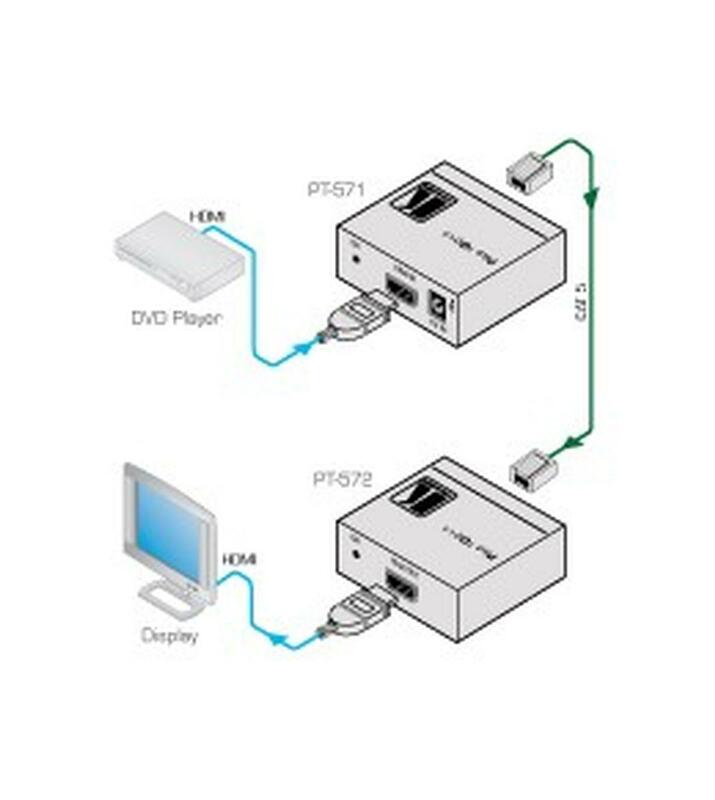 The PT-571 converts an HDMI signal to a single twisted pair signal and the PT 572+ converts the twisted pair signal back to an HDMI signal. The PT-572+ receives the signal from the PT-571 over CAT6 cable, ideal when your runs are longer than 50'. When the PT-572+ is within 150' of the PT-571 the transmitter will power the receiver so the receiver doesn't need power. Applications include: board, conference, and training rooms, presentation systems, and signal distribution and home theater. DIMENSIONS (WDH): 2.4" x 2.1" x 1"